Winter is finally over! It is time to dig ourselves out of our little hibernation pods and greet the sunlight. What a perfect time to try something new! 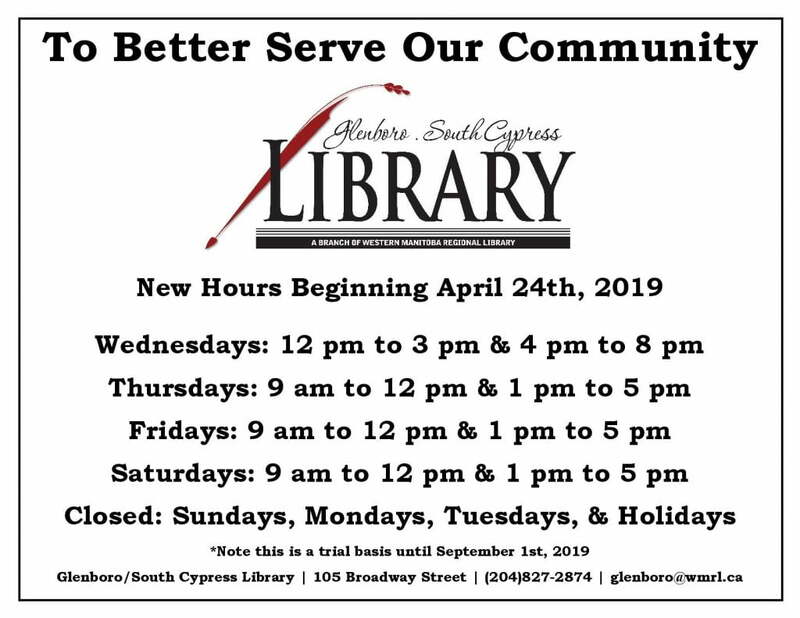 Starting Wednesday, April 24th, 2019 the Glenboro/South Cypress Library is going to do just that! We are going to introduce new hours to our branch in hopes of better serving our community. This is going to be a trial basis until September 1st, 2019. At that time a decision will be made to either return to our old hours or keep the new ones based on the opinions of our patrons! So please let us know what you think! 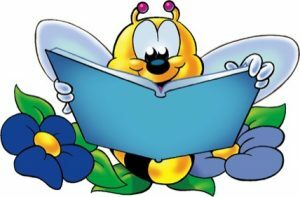 Our new hours will include us being open one evening a week and on Saturdays so that anyone out there who has wanted to use the library but was unable to in the past now has that opportunity! With this change also comes the opportunity to provide the community with different types of programming which logistically could not be offered before! Programs like Let’s Talk Science—a group of volunteer Brandon University students who venture out to various community organizations to provide different scientific workshops for kids! This also means that the way we do our Summer Programming will be different too. This year our Summer Kids’ Club will now be every Wednesday throughout the summer from 1:30 p.m. to 4 p.m! I hope everyone is as excited as I am at this new adventure that is coming our way!